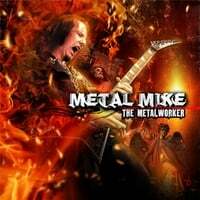 If you are looking to grab the definite combo of CDs from Metal Mike, then you will definitely want to own the now classic Metal For Life and the brand new The Metalworker album. This is heavy metal played with passion and purpose all engulfed by Mike's trademark guitar scream. These CDs come hand signed by Metal Mike.